Helen Keller Day, is held yearly on 27 June to commemorate inspiring deafblind American author, political activist, and lecturer Helen Adams Keller, who was born June 27, 1880 and overcame her disability and made a huge impact onthe quality of life of deafblind people the world over. The story of how Keller’s teacher, Anne Sullivan, broke through the isolation imposed by a near complete lack of language, allowing the girl to blossom as she learned to communicate, has become widely known through the dramatic depictions of the play and film The Miracle Worker. Her birthday on June 27 is commemorated as Helen Keller Day in the U.S. state of Pennsylvania and was authorized at the federal level by presidential proclamation by President Jimmy Carter in 1980, her 100th birthday. A prolific author, Keller was well-travelled and outspoken in her convictions. A member of the Socialist Party of America and the Industrial Workers of the World, she campaigned forwomen’s suffrage, labor rights, socialism, and other radical left causes. She was inducted into the Alabama Women’s Hall of Fame in 1971. Helen Keller was born with the ability to see and hear. At age 19 months she contracted an illness described by doctors as “an acute congestion of the stomach and the brain”, which might have been scarlet fever or meningitis. The illness left her both deaf and blind. At that time, she was able to communicate somewhat with Martha Washington, the six-year-old daughter of the family cook, who understood her signs; by the age of seven, Keller had more than 60 home signs to communicate with her family. In 1886, Keller’s mother, inspired by an account in Charles Dickens’ American Notes of the successful education of another deaf and blind woman, Laura Bridgman, dispatched young Helen, accompanied by her father, to seek out physician J. Julian Chisolm, an eye, ear, nose, and throat specialist in Baltimore, for advice. Chisholm referred the Kellers to Alexander Graham Bell, who was working with deaf children at the time. Bell advised them to contact the Perkins Institute for the Blind, the school where Bridgman had been educated, which was then located in South Boston. Michael Anagnos, the school’s director, asked former student 20-year-old Anne Sullivan, herself visually impaired, to become Keller’s instructor. It was the beginning of a 49-year-long relationship during which Sullivan evolved into governess and then eventual compaion.Anne Sullivan arrived at Keller’s house in March 1887, and immediately began to teach Helen to communicate by spelling words into her hand, beginning with “d-o-l-l” for the doll that she had brought Keller as a present. Keller was frustrated, at first, because she did not understand that every object had a word uniquely identifying it. In fact, when Sullivan was trying to teach Keller the word for “mug”, Keller became so frustrated she broke the doll. Keller’s big breakthrough in communication came the next month, when she realized that the motions her teacher was making on the palm of her hand, while running cool water over her other hand, symbolized the idea of “water”; she then nearly exhausted Sullivan demanding the names of all the other familiar objects in her world. Due to a protruding left eye, Keller was usually photographed in profile. Both her eyes were replaced in adulthood with glass replicas for “medical and cosmetic reasons”. Keller went on to become a world-famous speaker and author. She is remembered as anadvocate for people with disabilities, amid numerous other causes. She was a suffragist, apacifist, an opponent of Woodrow Wilson, a radical socialist and a birth control supporter. In 1915 she and George Kessler founded the Helen Keller International (HKI) organization. This organization is devoted to research in vision, health and nutrition. In 1920 she helped to found the American Civil Liberties Union (ACLU). Keller traveled to 40 some-odd countries with Sullivan, making several trips to Japan and becoming a favorite of the Japanese people. Keller met every U.S. President from Grover Cleveland to Lyndon B. Johnson and was friends with many famous figures, including Alexander Graham Bell, Charlie Chaplin and Mark Twain. Keller and Twain were both considered radicals at the beginning of the 20th century, and as a consequence, their political views have been forgotten or glossed over in popular perception.Keller was a member of the Socialist Party and actively campaigned and wrote in support of the working class from 1909 to 1921. She supported Socialist Party candidate Eugene V. Debs in each of his campaigns for the presidency.Newspaper columnists who had praised her courage and intelligence before she expressed her socialist views now called attention to her disabilities. Keller joined the Industrial Workers of the World (known as the IWW or the Wobblies) in 1912,saying that parliamentary socialism was “sinking in the political bog”. She wrote for the IWW between 1916 and 1918. In Why I Became an IWW, Keller explained that her motivation for activism came in part from her concern about blindness and other disabilities:I was appointed on a commission to investigate the conditions of the blind. For the first time I, who had thought blindness a misfortune beyond human control, found that too much of it was traceable to wrong industrial conditions, often caused by the selfishness and greed of employers. And the social evil contributed its share. I found that poverty drove women to a life of shame that ended in blindness.The last sentence refers to prostitution and syphilis, the former a frequent cause of the latter, and the latter a leading cause of blindness. In the same interview, Keller also cited the 1912 strike of textile workers in Lawrence, Massachusetts for instigating her support of socialism. This years Glastonbury will take place between Wednesday June 26 and Sunday June 30th 2013 and After months of rumours, the Rolling Stones have been confirmed to headline on the Saturday night. The veteran rockers have been at the centre of talks about the slot, and it will be the first time the Rolling Stones have played Glastonbury, and is likely to be their final performance after 51 years together as a band. sources said that a Glastonbury performance would be the last date on their 50th anniversary tour, which is continuing this year. Other bands headlining this years Glastonbury Festival include Mumford & Sons and Arctic Monkeys. The Rolling Stones are the latest in a series of “heritage” acts who have headlined festivals in recent years. U2 headlined Glastonbury in 2011, Stevie Wonder took the Sunday slot in 2010 and in 2009 Neil Young and Bruce Springsteen headlined on Friday and Saturday.Tickets for the festival sold out last October. After being ousted from the Clash in 1983 and following a brief stint with the band General Public, Mick Jones formed a new band called Top Risk Action Company (T.R.A.C.) He recruited bassist Leo “E-Zee Kill” Williams, saxophone player John “Boy” Lennard (from Theatre of Hate), and ex-Clash drummer Nicky “Topper” Headon. Headon was quickly sacked for his heroin addiction and Lennard either left or was fired and the band folded. Although the band released no material (only demos were recorded which have yet to be officially released), T.R.A.C. 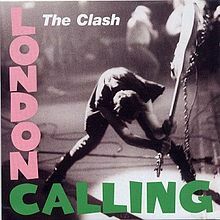 can be seen as a forerunner to Big Audio Dynamite in much the same way London SS can be seen as an early incarnation of The Clash. Jones then formed Big Audio Dynamite with film director Don Letts (maker of The Punk Rock Movie, various Clash music videos, and later The Clash documentary Westway to the World), bassist Leo Williams (from T.R.A.C. ), drummer Greg Roberts, and keyboardist Dan Donovan. In 1985 the group’s debut, This Is Big Audio Dynamite, was released. The album’s cover shows the group as a four-piece (minus Donovan); the full group is pictured on the back cover.1986’s No. 10, Upping St. reunited Jones for one album with former Clash band-mate Joe Strummer, who was a co-producer of the album and co-writer of a number of its songs. The cover painting, based on a still taken from the Brian de Palma film “Scarface” was painted by Tim Jones. BAD supported U2 on their 1987 world tour, then released 1988’s Tighten Up, Vol. ’88 and 1989’s Megatop Phoenix. Tighten Up, Vol. 88 contained “Just Play Music!”, which was the second No. 1 single on Billboard’s Modern Rock Tracks. The band also recorded an unreleased track called “Keep off the Grass” which was a rock-style instrumental of the theme to the classic western film, The Magnificent Seven. A promo video can be seen on YouTube.In 1990, the original line-up wrote and recorded the song “Free” for the soundtrack to the movie Flashback. This would be the final song written with the original lineup, as the band would dissolve shortly after. “Bottom Line” from the first LP was remixed and used as the title track for Flashback. However this track was not included on the soundtrack. It can be found on the 12″ or by possible download. 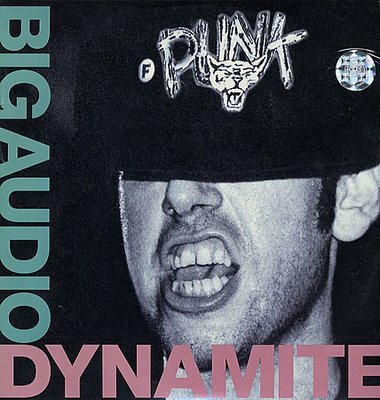 Later in 1990, Mick Jones debuted Big Audio Dynamite II and release the UK only album Kool-Aid. Dan Donovan remained in BAD II for one song, a re-working of the final BAD track “Free” renamed “Kickin’ In”. Jussi Sydanmaa muician with Finnish Heavy Metal band Lordi was born 26 June 1973. Lordi were formed in 1996 by the band’s lead singer, songwriter and costume-designer, Mr. Lordi. The band is known for wearing monster masks and using pyrotechnics during concerts. They rose to domestic success with their 2002 single, “Would You Love a Monsterman?”. Lordi made history in 2006 by winning the Eurovision Song Contest with a record 292 points, becoming the first Finnish performer to win the contest. I’m hoping they invade the stage at this years Eurovision Song Contest and run amok before .Lordi were also featured on the 2006 MTV Europe Music Awards in Copenhagen when the band’s frontman, Mr. Lordi, presented the award for rock. They were also the closing act, playing their single “Hard Rock Hallelujah”. They also performed on Britain’s Making Your Mind Up for the Eurovision Song Contest. Lordi performed on the main stage at Ozzfest 2007 and later that year toured with Type O Negative and Twin Method until Halloween night. English poet, novelist, and screenwriter,Laurence Edward Alan “Laurie” Lee, MBE was born 26 June 1914 Having been born in Stroud, Lee moved with his family to the village of Slad i1917 and went to Marling School, Gloucestershire, At twelve, Laurie went to the CentalBoys’ School in Stroud and left at fifteen to become an errand boy at a Chartered Accountantsin Stroud. In 1931 he first found the Whiteway Colony, two miles from Slad, a colony founded by Leo Tolstoyan Anarchists. It gave him his first smattering of politicization and was where he met the composer Benjamin Frankel and the ‘Cleo’ who appears in As I Walked Out One Midsummer Morning. In 1933 he met Sophia Rogers, an “exotically pretty girl with dark curly hair” who had moved to Slad from Buenos Aires, an influence on Lee who said later in life that he only went to Spain because “a girl in Slad from Buenos Aires taught me a few words of Spanish.” At twenty he worked as an office clerk and a builder’s labourer, and lived in London for a year before leaving for Vigo, northwest Spain, in the summer of 1935. From there he travelled across Spain as far as Almuñecar on the coast of Andalusia. Walking more often than not, he eked out a living by playing his violin. After the outbreak of the Spanish Civil War in July 1936 Lee was picked up by a British destroyer from Gibraltar, collecting marooned British subjects on the southern Spanish coast. He started to study for an art degree but returned to Spain in 1937 as an International Brigade volunteer. However his service in the Brigade was cut short by his epilepsy. These experiences were recounted in A Moment of War (1991), an austere memoir of his time as a volunteer in the Spanish Civil War. During this period, he also made documentary films for the GPO Film Unit (1939–40) and the Crown Film Unit (1941–43). From 1944 to 1946 and worked as the Publications Editor for the Ministry of Information. Lee’s first love was always poetry, though he was only moderately successful as a poet, Lee’s first poem appeared in The Sunday Referee in 1934. Another poem was published in Cyril Connolly’s Horizon in 1940 and his first volume of poems, The Sun My Monument, was launched in 1944. This was followed by The Bloom of Candles (1947) and My Many-coated Man (1955). Several poems written in the early 1940s reflect the atmosphere of the war, but also capture the beauty of the English countryside. However Lee’s most famous work was an autobiographical trilogy which consisted of Cider with Rosie (1959) which captured images of village life from a bygone era of innocence and simplicity , As I Walked Out One Midsummer Morning (1969), which deals with his leaving home for London and his first visit to Spain in 1935 and A Moment of War (1991). Which deals with his return to Spain in December 1937 to join the Republican International Brigades. Other works include A Rose for Winter, about a trip he made to Andalusia fifteen years after the Civil War; Two Women (1983), a story of Lee’s courtship and marriage with Kathy, daughter of Helen Garman; The Firstborn (1964), about the birth and childhood of their daughter Jessye; and I Can’t Stay Long (1975), a collection of occasional writing. Lee also wrote travel books, essays, a radio play, and short stories. Laurie Lee sadly passed away 3 May 1997 but his classic novels remain required reading in many schools amd have also been adapted for film and television.